Will Pierce stands on a platform near the top of a telephone pole and peers w-a-a-a-a-y down into a hoop of fire. A hoop of fire he’s about to leap into. 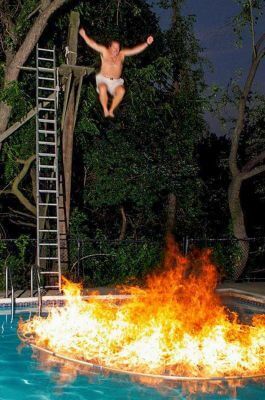 He’ll pass through the flames and into a swimming pool at Pierce Country Day Camp in Roslyn. A camp owner-director braving the dramatic jump in front of campers and parents is a tradition masterminded by Pierce’s great-grandfather Forrester “Pop” Pierce, who founded the summer camp in 1918. 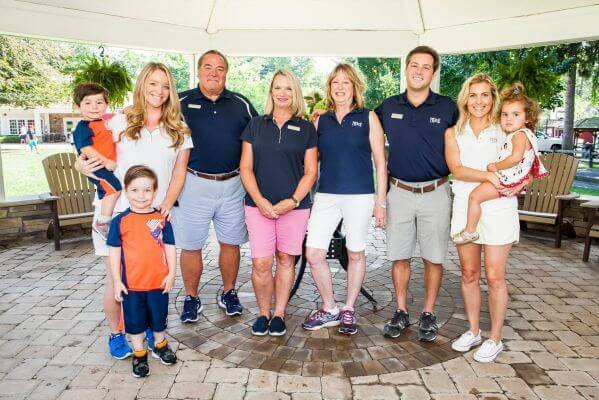 When Pierce leaps this July, he’ll mark the 100th summer of Pierce Country Day Camp, which has been owned by four generations of the Pierce family. Will now runs the operation along with his cousin Courtney, also 32, and three members of what they refer to as “Generation Three” — Doug, 64, Greg, 60, and Forrester III, 59. Pop Pierce and the members of Generation Two are long gone. 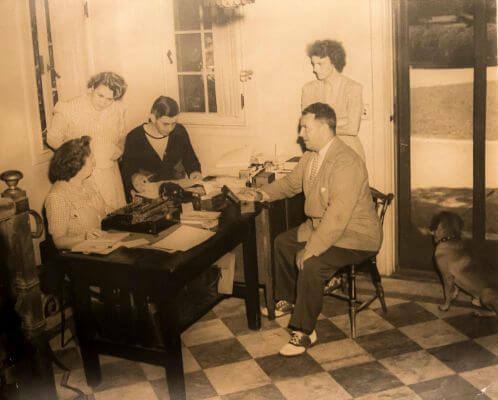 Pictured: Helen Pierce, standing at left, with Forrester “Pop” Pierce seated at right, work with staff at Pierce Country Day Camp. The photo hangs in the hallway in the entryway of the mansion. 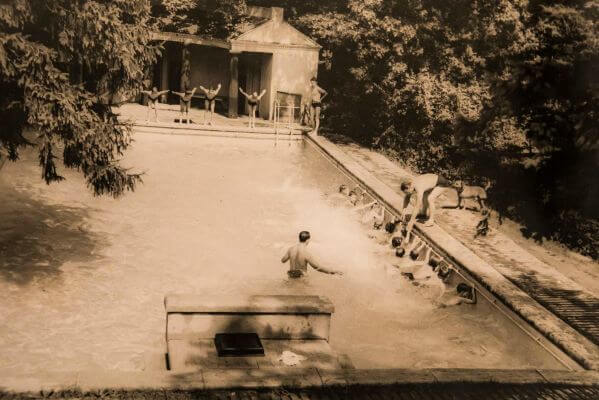 Pop Pierce launched Pierce Country Day Camp in Deal, N.J., in 1918, moved the camp to rented property in Nassau County a few years later and then purchased an estate in Roslyn where he gave the camp its permanent home the 1930s. 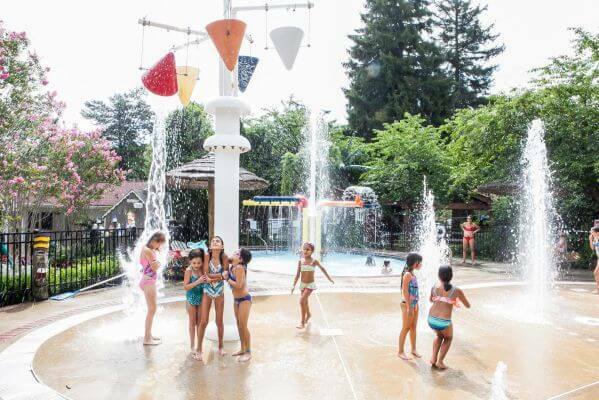 Pierce has grown to be among the biggest and most expensive camps on Long Island — eight weeks of swimming in the camp’s seven swimming pools, playing sports, making arts and crafts, shooting arrows at archery and more costs $8,950. 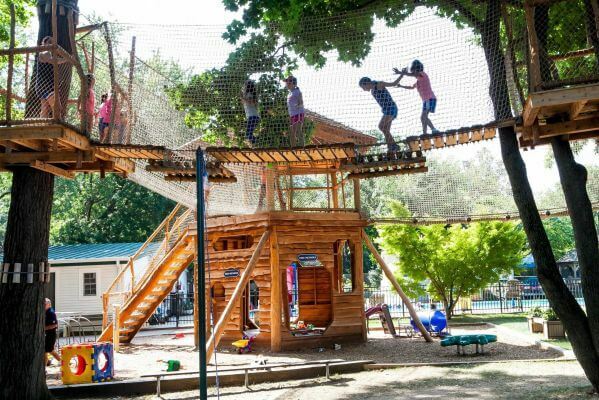 Forrester Pierce says that’s so the camp can maintain state-of-the-art facilities — in 2016, for instance, the camp added an enormous treehouse called Treemendous and an outdoor “musical playground” dubbed Musical Rhapsody that includes a piano, xylophone and more. “That was just one year of capital improvements,” Will Pierce says. Ron Katz, 64, of Woodbury, was a camper at Pierce in the early 1960s. He sent his daughter Kim London, 39, of Port Washington, to Pierce and she was also a counselor there. “There’s every single activity you could ever wish to participate in,” London says of the camp. “I was the kind of kid who was a jack-of-all-trades, master of none. For me, having a variety of activities throughout the summer was perfect for my personality.” London now sends her daughter Brooke, 5, to Pierce. 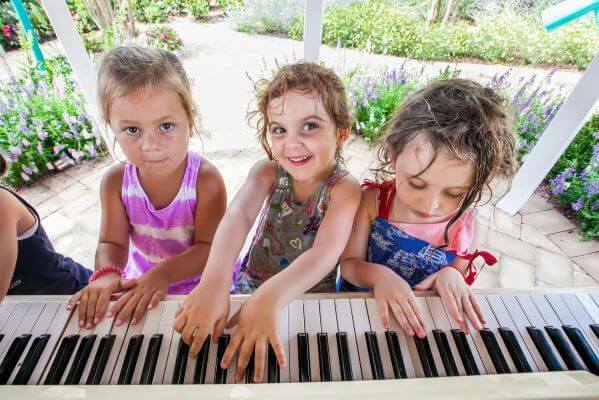 Pictured: Madison Rosen of Manhasset 4, Brooke Lubin 4, of Roslyn of Chloe Schmidt 4, of Roslyn play the piano at Musical Rhapsody Garden at the camp. During the winter, Pierce runs a preschool on the grounds. It runs its own bus transportation company. The family also owns a sleepaway camp called Pierce Camp Birchmont in New Hampshire that’s now part of Will’s father Greg’s responsibilities and just celebrated its 65th summer. “A lot of people say, ‘What do you do for the other 10 months of the year?’ ” Will Pierce says. They do hiring, capital improvements, logistics and more. A Native American theme is part of the Pierce tradition — camp photos through the years show the Pierce men in feathered headdresses and Courtney Pierce in braids and Native American dress at traditional camp “Pow Wows.” “It’s part of our brand, the Pow Wows, the Native American motif, the ‘Hoop of Fire,’ ” says Doug Pierce of Generation Three. Pierce tries to keep a balance between maintaining the spirit of camp days of yore and meeting the demands of a providing a modern camp, Forrester says. 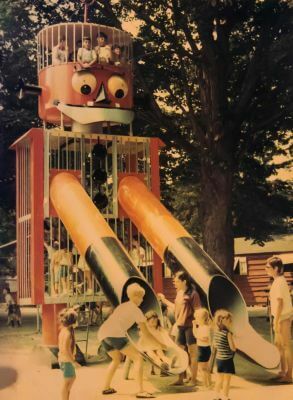 The day camp still has the giant robot slide (pictured), for instance — “When we have parents come back with their kids they say, ‘Gigantor is still here!’ ” Courtney Pierce says — but has eliminated a former program in riflery — “That wouldn’t go over with the parents these days,” Courtney says. These days, parental involvement is much greater than it was decades ago, Forrester says. The camp has nearly tripled its office staff to handle calls from parents asking about transportation, suntan lotion, hydration and more, Forrester says. And for kids, the scheduling of activities is broader — the camp has added a STEM program and a theater program, for instance. 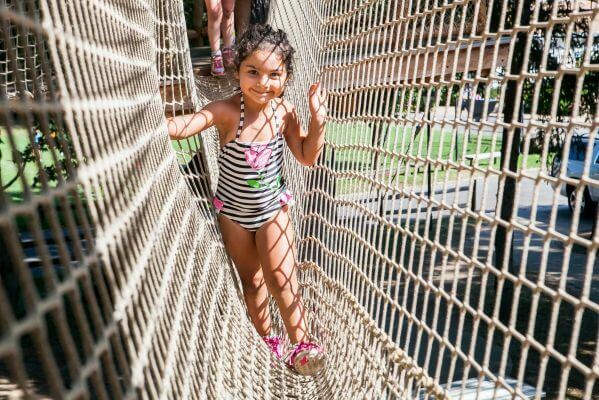 Pictured: Laylah Kaypour, 4, of Port Washington walks the bridge on Treemendous in Pierce Country Day Camp in Roslyn, Aug. 19, 2016. 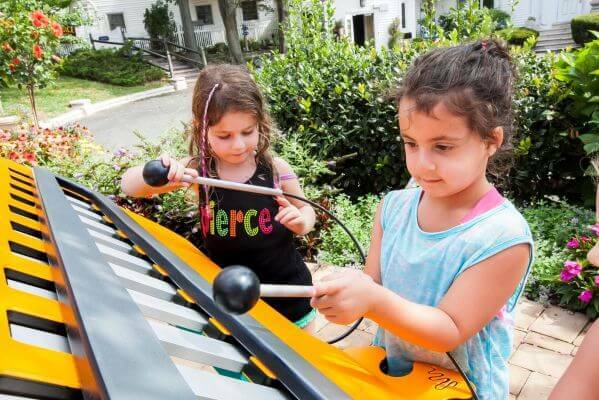 Pictured: Sophie Weiss of Roslyn and Emma Forchheimer of Roslyn play xylophone at the camp’s Musical Rhapsody Garden. Pictured: The camp’s Water World. 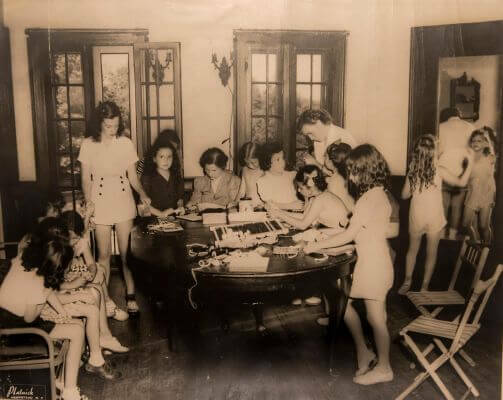 Four generations have been involved in running Pierce Country Day Camp, which has been in operation since it was founded by Forrester “Pop” Pierce in 1918.